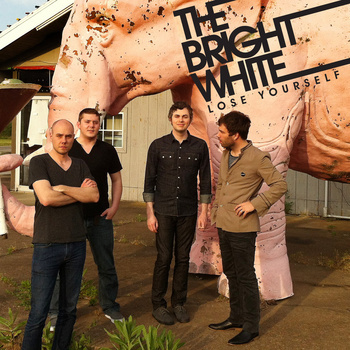 On its new album, "Lose Yourself," Chicago band The Bright White amps up the energy level. That energy will be on full display when The Bright White, www.thebrightwhite.com, performs Aug. 4 at the Beat Kitchen, 2100 W. Belmont Ave., Chicago. Eight Bit Tiger and The Plastic Boots also are on the bill. The show starts at 6 p.m., and tickets are $10, available at www.ticketweb.com. The Bright White is comprised of Matthew Kayser on lead vocals, Joe O'Leary on guitar, Peter Krutiak on bass and Steven Zelenko on drums. I had the pleasure of interviewing Kayser about the new CD and the band's other activities. Q - I see that the band will be filmed for a promo video at the Aug. 4 show. How did that opportunity come about? Will that make it an even bigger show for the band? We recently worked with Jun Nagano of Cuantica Pictures on a project for a local television pilot. He seemed to really dig what we're doing, and we loved his work. Since we've been needing a promo video of our live show, it made complete sense for Jun to film us. We've done a number of successful shows at Beat Kitchen, so it all came together quite easily. Any time you're trying to capture live footage, it helps to have a large, energetic crowd. People love the opportunity to get on camera, so yes, we think this will go very well. Q - It seems like you guys kick up the energy for "Lose Yourself." In sitting down to make the record, what goals did the band have? Did you achieve them? I'm glad you mention that. Yes, we wanted this recording to better represent how we sound live. We approached James Scott and Mike Nesbitt of Populist Recording with the goal of capturing some of the careening energy of our live show. At the same time, we didn't want it so stripped down that it was garage rock. James perfectly toed the line, giving us a record that sounds big and raw like our live show, yet refined just enough that it could receive radio airplay. We knew what we wanted, we described it to James, and we sat back and watched as he nailed it with more ease than we could have imagined. Q - Any meaning behind the name of the album? Tons of meaning. I recently found myself surrounded by people who are seemingly afraid to pursue the things they really want. Be it their careers, relationships, or dreams, people are much too quick to play it safe. My frustration with these people inspired a song called, "Lose Yourself." I want people to know that there are few things as amazing as allowing yourself to get overwhelmed by something. Yes, it's risky. Yes, it's uncertain. But there is more often than not a great reward in letting go and diving into something, or someone. The guys in the band all feel the same way. We also view the title as a call to get lost in the musical moment and consider the possibilities. Music, particularly rock n' roll, can be powerful. We've been to shows where the music or performance took us to another place. Now we want to put on those types of shows. As a band, we can think of no greater effect of our music than for it to inspire people to forget what's holding them down and aim for something bigger in life. Q - The band has drawn comparisons to the Foo Fighters, Oasis and Superdrag. Is that a fair comparison? Do you consider those bands to be influences? When it comes to comparisons, I can see the Oasis and Superdrag side of things more so than Foo Fighters. But people can compare us to whoever they want. It doesn't really matter to us. In the end, it's all rock n' roll and we have our own thing going on. As for influences, yes, those bands do inspire us. Our biggest inspirations probably stem from power pop and post-punk. Q - How do you think the band has evolved since first forming? We have put aside the notion of becoming popular simply by telling people that we should be. In that regard, we've matured a lot. I owe that to Steve, Joe and Pete. My head is typically up in the clouds - especially when I believe so strongly in the band. The guys have an uncanny ability to dream big while also rationally looking at the situation. We've evolved by actually developing a game plan for what we want to achieve. The best part is that we're now sticking with that plan. Like most new bands, we still want to be the biggest rock n' roll band on the planet. The difference from last year, though, is that we are now doing all the things a new band needs to do, rather than just hoping and waiting for something magical to happen. Musically, we've evolved by trying to consistently write better songs each week. We're no longer satisfied with simply having a solid working verse and chorus, as we were last year. We want each song to be exceptional. We've written several new songs with this mindset, and will be releasing them within a few months. Q - The Chicago music scene is very diverse. Where do you see the band fitting into the scene? How does the Chicago music scene compare to other music scenes across the country? All I can do is compare Chicago to the two cities with which I'm familiar: New York City and Nashville. Chicago is much more like NYC, in that people usually come to shows to support one particular band, and then often leave. As for the bands, they don't seem too interested in creating a scene. Everyone is, for the most part, doing their own thing. I can't honestly say our approach is much different. There are a number of up-and-coming bands we think very highly of, bands such as The Maharishi, Hawley, Old Irving, The Second and The Kickback. We would love to be part of a scene that includes them. I'm clueless as to whether or not that will happen. Our short-term goal is to constantly write, record and release brand new music. We also want to build our base here in Chicago. We want to continue to play smart shows in and around the city. Regarding long-term goals, we have our eyes on the prize. We know how far we want to take this, and we now have a much better plan for getting there. Our songs and live show are intended for much larger audiences, and we've yet to find a reason why we should aim for less than that. It's been a busy time for Chicago band AM Taxi, which last weekend opened for The Offspring in Wisconsin. This weekend, the band will take its smart pop punk sound to the Wicker Park Fest, being held on Milwaukee Avenue from North Avenue to Paulina Street in Chicago. 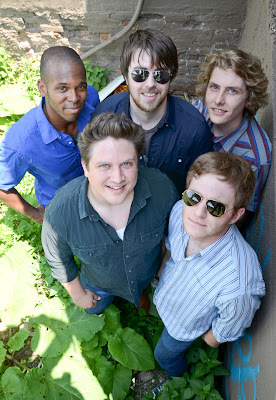 AM Taxi, www.amtaximusic.com, will take the stage at 4:30 p.m. Saturday. More information is at www.wickerparkfest.com. I had the pleasure to interview AM Taxi frontman Adam Krier about the band's latest activities. Q - The band of course will be playing at the Wicker Park Festival on Saturday. Do you guys prefer playing at festivals or in clubs. Or do you need both? It's nice to get a little bit of both, but I prefer the clubs. However, we played this same fest last year and it was cool, lots of variety. Q - Any act you look forward to seeing at the festival? What should people expect from your show? Will you be previewing any new songs? I've been meaning to see the Kickback. We're doing some new songs, songs from our LP and a cover that we haven't done in a couple years. Q - What were your goals in forming AM Taxi and do you think you've achieved them? When we started playing, Jason and I had been touring and recording for years and we just didn't want to stop. There were never any long term goals. Q - You guys seem to be pretty busy this summer. Last weekend, the band opened for The Offspring. How was that experience? Would you consider The Offspring to be a musical influence? We have fun playing with them. No, I wouldn't consider them an influence but I have a ton of respect for them as performers. All the songs on their set lists are hits and they get stuck in your head ... and the guitar player's name is Noodles ... Right on! Q - You balance being in AM Taxi with being in Lucky Boys Confusion. Do you need both in your life, along with the solo shows that you do? Lucky Boys Confusion plays only a few shows here and there. I love seeing those guys, we grew up together. It really isn't a problem balancing the two. Most of my time is focused on AM Taxi. Q - I'm sure you're still reeling from the death of Joe Sell. Was it important for the band to continue playing after his death in order to memorialize him? What are your thoughts ahead of Lucky Boys Confusion's 15th year anniversary show/Joe Sell memorial this fall? It's important to play. We really miss him. Playing helps us remember and feel close to him. The shows coming up will be at House of Blues. At first, when we were planning a 15 year anniversary, we were patting ourselves on the back for making it through 15 long years with the same line up. Now it's a memorial as well. Q - What's on the horizon for both AM Taxi and Lucky Boys Confusion? I'm in the studio w/ AM Taxi, working on new songs and song ideas ... we can't wait for everyone to hear. 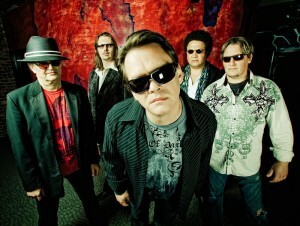 Since 1995, Chicago band The Voodoo Kings has been energizing the scene with its diverse blend of rock, blues and funk. The band will likely add some heat to this weekend's Jeff Park Arts and Music Fest in Jefferson Park, 4822 N. Long Ave., Chicago. Voodoo Kings, www.voodookings.com, will perform at 6:30 p.m. Saturday. Admission is $7, $5 before 5 p.m. More information is available at www.jefffest.org. I had the pleasure of interviewing Voodoo Kings frontman Michael Kranicke about the band's latest activities. Q - You guys are playing your fair share of festivals this summer. Do you prefer playing at festivals or clubs? Or do you need both? I think that any band needs both, but I find that festivals allow a band to reach a fan base that might not necessarily be in a club at 11 p.m. on any given night. I also think festivals are where you reach the broadest spectrum of people. Playing high profile clubs that have great reputations for breaking new music is always a plus as well! Q - The band dips into many musical styles, including blues, rock and funk. How would you describe your music? Who would you consider the band's main influences? That is always a question I get. To me, being a musician and being in a band should allow for creative exploration. You can't be afraid as a band to explore new ground musically because some critic or A&R person (do they exist anymore?) thinks that you are too widespread stylistically. That is how you grow as a musician and as a band. The Beatles certainly didn't sound the same on "HELP!" as they did on "The White Album" and that’s a good thing. I grew up listening to all types of music. Whether it was blues or Motown or rock, all those styles mixed and made a hell of an impact culturally and musically. I hate to see music so filtered and categorized. I like to describe our music as American Roots Rock painted with the colors of the blues. Blues [influenced] jazz, rock, R&B and it’s the basis for today’s popular music; you can't get around that. My main influences are The Rolling Stones, Beatles, Black Crowes, Tom Petty, Drive-By Truckers… I can go on if you like…!?!? Q - The band's sound is heavily rooted in the blues. Who turned you on to the blues and what do you think of the current blues scene? My father turned me on to the blues. There was always music playing in our house. From Mozart to Muddy Waters, everything was on the table. I grew up listening to records and playing the songs over and over and trying to figure out the words if they were not included in the liner notes. Muddy Waters is my personal favorite and I honestly learn something new every time I listen to his records. From the classic recordings for Chess to the records he made with Johnny Winter, to me Muddy Waters is the epitome of cool. There are a lot of good players and good blues musicians in Chicago. Mike Wheeler is an excellent guitarist. Ronnie Baker Brooks is also awesome. Just like anything else, you have to seek out what you want to find the gems. Q - What were your goals in sitting down to make the band's latest CD, "Mileage," and do you think you achieved them? Are you writing any new songs or performing any new songs? The goal for making "Mileage" was to take the band and the songs in a different, more simple direction. I was leading a 7-8 piece band: two guitars, bass, drums, keys, three horns at times and that's a lot of instrumentation. Sometimes the simplest adjustment makes all the difference. I like the stripped down line up of just two guitars, bass, drums and keys. It's really straight, guitar-driven rock, something that I haven't experimented with a lot. I especially enjoy playing with another guitar player, as it was usually me handling all the guitar parts on stage and in the studio. I had the pleasure of working with Grammy Award-winning producer Michael Freeman and he is based out of Chicago, so we both had time to talk about the songs, what worked what didn't. He came to a few pre-production rehearsals and we both threw around ideas and worked out a path prior to even heading into recording; it was a very coordinated and comfortable. I also think it is a very personal process so if you go into a studio with an engineer or producer that's not necessarily familiar with what you are trying to achieve and who you are as an artist or a band, you might have a hard time being on the same page. I am always writing and I am working on compiling new material for another record. When that will happen is not scheduled right now. Q - The Voodoo Kings has opened for the likes of Little Feat, John Hiatt and Parliament. What did you learn from such experiences? You learn to be a pro and to work a bigger audience and try and get your music across in a less than intimate environment. It's different than being in a club setting. When you are on a stage and there are a couple of thousand people in front, you work in a different environment and it presents it own set of challenges to you as a musician to engage the audience. Q - How do you think the band has evolved since first forming in 1995? I think the band has matured and come into its own. You always learn something when you play a show, make a demo or work on a record. From a technical and engineering standpoint, you learn what works and what you like. I think that you write differently as time goes by. I obviously don't have the same perspective as I did 18 years ago but that’s just growing up; it’s inevitable. I have had the pleasure of having played with a lot of good musicians. You have to get out there and play as a band, especially when you are just starting out, to find your sound, find your voice and hone that craft. I have played in wedding bands, blues bands, jam bands, cover bands and my own band. All those experiences make up your musical sound and style. It's a constant learning process. I don't think I will ever sit down and say “I am happy with my playing; I don't have to learn anything else.” It’s awesome to always be learning something new on an instrument I have played for 30 years. Q - How do you think The Voodoo Kings fits into the Chicago music scene? I am not sure what the Chicago music scene is. Is it blues? Rock? Indie? I know there is a great metal scene here as well. There is so much music out there. Fitting in was never my specialty. If you worry about fitting in, it's a classic pitfall. I think you always want to fit in as a band but it's not really up to me to measure acceptance. I like what we do. I know VDK's strong points and love where we are at musically. I know who we appeal to and I really enjoy playing music. When we are playing as a band, and the band is clicking, it's one of the few times I can really clear my head and the feeling is just so personal and liberating. I think that is why most musicians play music; for that freedom and bliss. It sounds esoteric, but it's true. And then there are the girls, who are always a factor. Should Roger Daltrey and Pete Townshend continue to bill themselves as The Who when half of the band's original members are no longer with us? In my opinion, no. But they have been. And they will again, as they have just announced a major tour of the United States this year. 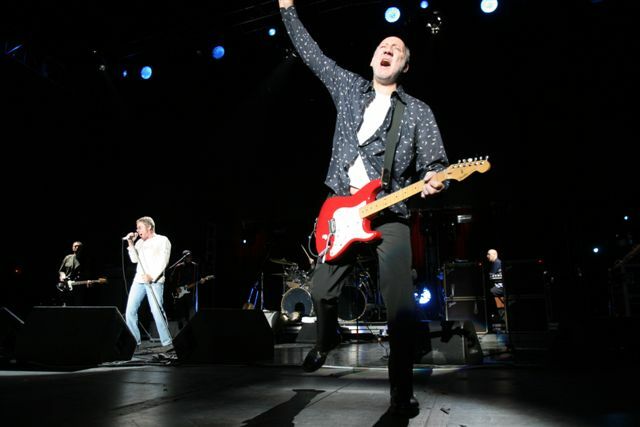 On the tour, The Who will perform its iconic 1973 double album "Quadrophenia," as well as select Who classics. The tour will make a stop on Nov. 29 at the Allstate Arena in Rosemont. Even though The Who won't be performing in the truest sense of the word, a strong bunch of players will be backing Daltrey and Townshend, including Zak Starkey on drums, Pino Palladino on bass, Simon Townshend on guitar/backing vocals, Chris Stainton on keyboards, Loren Gold on keyboards/backing vocals and Frank Simes musical director, keyboards/backing vocals. Tickets will go on sale starting at 10 a.m. July 27, available at www.aeglive.com. In advance of the tour, a one-night screening of "The Who: Quadrophenia-Can You See The Real Me" The Story Behind The Album will be presented on July 24 at movie theaters nationwide. More information is available at www.FathomEvents.com. Q - Why do you think the music, the themes of “Quadrophenia” - both the album and film adaptation - resonate so strongly today? In 1972 I was 28, writing about London and Brighton in 1963 and 1964 when the band was just starting. I was still young enough to remember how it felt to be 16 or 17, and at war with my parents, bosses and authority. I could still remember that feeling of struggling to fit in, something that happened to me when I was even younger, around 14, and everyone around me seemed to have got their lives on track. This is such a universal experience for young people that it has echoed. (It also seems that many of the first fans of the album don't want to let it go; it connects them now, just as it did the band, with the important emotions and frustrations of growing up, the poignancy of it all. The film took the musical journey into the real world, and gave it flesh. Q - In this singles-driven digital age, there are artists now singing the praises of the album as an art-form and playing their own albums from front-to-back onstage. Since "Quadrophenia" represents the album aesthetic in its highest form, what are your thoughts about the importance of albums these days for artists and audiences? Mod was over in the South of England by the spring of 1965, and in a sense the band had changed too. We were less pure, less an R&B band and becoming more of a singles-oriented pop band. So there is an irony in the fact that when I decided we needed to reconnect with that vitally important and colorful period of our career, and our lives as young men trying to pursue a dream of becoming famous and respected, I realized I would need a double album. I'm pleased to hear about artists who uphold the album as an art-form. Album. Art. The questioner's words here, but I have often been ridiculed for using them about pop music in the past. The digital medium is only just starting to lend itself to long form work. So I expect to see more of it. It was once thought new music fans had a low attention span; but what they reveal is immense commitment to researching what touches them most deeply, and as the internet gets faster they can find what they seek more quickly. Once a connection is made, it can be extremely deep and long-lasting. This is really just another echo: this is how it was back in the '60s. Singles first, then albums. Maybe the preponderance of singles on the Internet has made the album feel special again? Maybe the old way of listening to music – in longer sittings – is finding its way back into vogue? A journey, for example, is an opportunity to listen to something longer, and easy to carry mobile music has made that possible. Q - Which are your favorite songs from “Quadrophenia” to perform live and why? I really love playing all of it. It's a unique piece for me in that. Some Who music is nightmarish to perform live. Roger has some very tough songs to sing, and he must have preferences. But for me on guitar everything falls under the fingers. It flows naturally, and I always feel proud of my achievement as the writer, that I put it all together and gave the band a third wind. The real high point for me is always the final song "Love Reign O'er Me." Roger and I now stand almost alone together, representing not only the original band, but also its Mod audience, and of course all our other early fans. We are connected by it, in what is the most clear cut prayer for redemption, and it feels like an acknowledgment that rock music has managed to deal with the highest emotional challenge: spiritual desperation. Q - What else can fans expect to hear on the upcoming tour? We plan to close the show with a few of the really well-known anthems, and maybe some last minute surprises. These will be as much a surprise to me as to our audience because this is an area I tend to leave to Roger; he's very good at it. 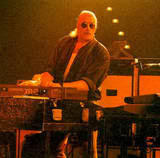 BLACK SABBATH Bassist Geezer Butler Remembers JON LORD - "One Of The Great Musicians Of My Generation"
Chicago band Gold Motel's self-titled sophomore album is a band effort in every sense of the word. While the band's first album, "Summer House," was heavily influenced by the time that frontwoman Greta Morgan spent living in California, the members wanted the new album to come together naturally based on their interaction with each other. Gold Motel will perform July 26 at Schubas, 3159 N. Southport Ave., Chicago, as part of a CD release party. Jon Walker and Girls on Bicycles also are part of the bill. The show starts at 7 p.m., and tickets are $12, available at www.schubas.com. I had the pleasure of talking to Morgan and Gold Motel guitarist Eric Hehr about the new album. Q - Great to talk to you again. You guys recently performed at Summerfest, and last year were at Lollapalooza, two high-profile festivals. What experience was the most enjoyable? Do you prefer playing at festivals and outside gigs versus clubs? 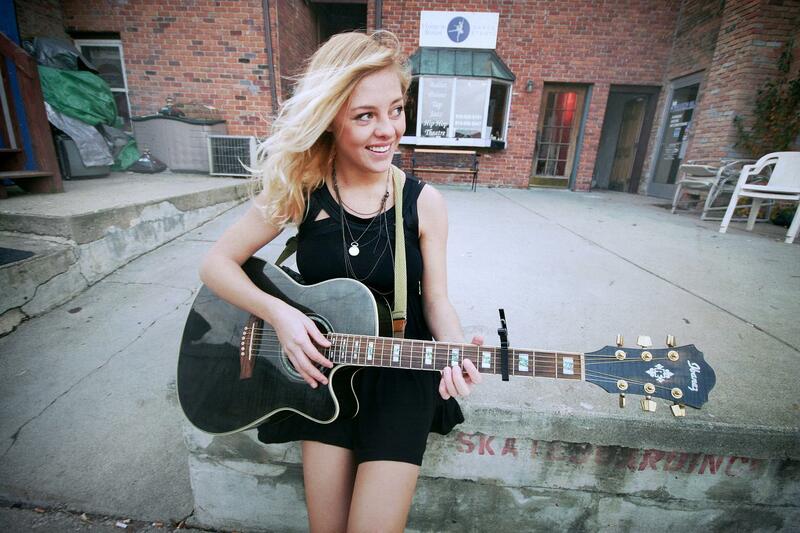 GRETA: I love the energy of festivals. An obvious perk is being able to see artists for free who we might normally need to pay quite a bit of money to watch. At Summerfest, Eric and Dan saw Tuneyards and Robyn, and I heard The Beach Boys, which was incredible. At Lollapalooza, we watched The Cars, Coldplay, the Foo Fighters, etc. Always fun to learn from other artists by seeing their show, even if it's not an artist we'd normally buy a ticket to see. ERIC: Both experiences were incredible. As a born and raised Midwesterner, having the opportunity to play both Lollapalooza and Summerfest is a colossal honor. They are both festivals I grew up going to, so being able to be apart of them as a performer is surreal. When I was younger, I snuck into Lollapalooza and quickly got kicked out. If you were to tell me then – as I was being escorted out by security – that in a few years I would be invited to play the festival, I wouldn’t have believed you. In terms of outside festivals gigs vs. venue gigs, I prefer playing in venues, hands down. There’s a very specific atmosphere and vibe in a club that lends itself to the ritual of “the live show,” and I find that habitat much more endearing. Clubs gigs are also a bit more personalized and intimate in contrast to the outdoor fest. They also (usually) have air conditioning, which is a huge plus! Q - You new album is already getting rave reviews. Are you surprised? In sitting down to make the album, what goals did you have? Did you think you achieved them? GRETA: Our goal with this album was to approach it as a 5 piece band and see what sound arose. We didn't have a specific vision, but wanted to allow the songs to start coming, then shape the vision. "Summer House" was very clear: I wanted to do a modern take on 60's pop and make a pure summer record. Very influenced by my time living in California. With this album, we sort of allowed it to happen in the same way a group plays with a Ouija board - we all moved the songs together, without really being able to tell who was shaping which part. We wanted the album to be a result of our interaction, rather than making the album as a result of a specific vision. ERIC: I’m glad that people are digging on the album. We weren’t expecting the album to do poorly, nor did we think it would be a smash hit. We honestly didn’t know what to expect, and to a certain extent we still don’t know what to expect. When we made the album, our main concern was making it a collaborative experience. "Summer House" was put together in a somewhat fragmented way because the band was coming together as the songs were being written and recorded. This time around, we wanted to hit the ground running as a functional unit. Although there are songs on the album that Greta wrote or that I wrote, we all pitched in on arranging and producing. Every song on the album would not be the song it is had it not been for everyone’s contributions to every minor detail. With that said, I think the album is a great representation of what happens when Dan, Greta, and myself write and record songs together, and that’s what we set out to do. Q - Your new album is being described as being more introspective. Do you agree? GRETA: I think they are equally introspective. The songs "Fireworks After Midnight" and "Who Will I Be Tonight" on "Summer House" are just as introspective and personal to me as "Brand New Kind of Blue" and "Counter Clockwise" are on the new album. ERIC: I think it’s introspective in the sense that it spends more time examining feelings from a retrospective point of view. Summer House was very optimistic – very care free and fleeting and sunny and youthful. The new album doesn’t have as much of that sanguine bliss flavor. It’s a bit more bittersweet and reflective. I think that stems from all the life experiences we’ve had since Summer House came out, and being able to reflect back on those experiences from a more mature point of view. It’s not a dark or pensive album by any means, but it preoccupies itself with a broader spectrum of emotions instead of just the happy-go-lucky, fun-in-the-sun content that we exemplified on Summer House. Q - How long did it take to write the songs? GRETA: Every song is different. Some sketches were done in a few minutes, some took months. ERIC: Each song was a bit different. Some songs, like “Leave You In Love,” have been around for years in various bits and pieces. Other songs, like “Your Own Ghost” or “These Sore Eyes,” were written very quickly. “In Broad Daylight” was a song that I had written as an instrumental, and Greta and I worked on the melody and wrote the lyrics together. “Always One Step Ahead” was an old idea of Greta’s that we worked on arranging over the span of a few months. Once the song was written, we’d spend a day or two recording it at our rehearsal space (which doubles as Dan’s studio, DandySound Studios), and then move on to the next song. The whole process was very minimal and autonomous. Q - Describe the writing process. Is it a collaborative effort between the band members? GRETA: Usually, one of us brings a skeletal sketch and then we arrange and record together. For example, Eric brought "These Sore Eyes" with lyrics, melody, chords. I brought "Brand New Kind of Blue" in the same way - with lyrics, melody, chords, and we just arranged together. For a handful of the songs, Eric and I sat down and wrote lyrics together. "Leave You In Love", for example, is an amalgam of a handful of free-write lyrics he had laying around that I then organized and added to. And sometimes, like with "Your Own Ghost" the song will begin with just a piece of a verse, then warp into a completely new direction with 5 people in the room arranging. That song was interesting because my original chorus lyric was "Are you in on your own joke?" and Eric misheard it to say "Are You sleeping with your own ghost?" so we ran with that lyric. I love the happy accidents. ERIC: Usually Greta, Dan, or myself will bring in a demo or a rough sketch of a song. From there, depending on how fully formed the idea is, we start working on structuring, arranging, and fixing any problem areas. Some songs come in being pretty closed to finish; others come in as a fifteen second long chord progression and melody. Regardless, the overall formation of the music is much more collaborative than any other band I’ve been apart of: Greta and I wrote a lot of the lyrics together, Dan and myself worked out all the guitar parts together, Greta and Dan worked out a lot of the harmonies together, and all three of us produced the album as a self contained unit. Q - There's so many ways to get one's music out there these days. Do you think that it's easier for a band to get exposure these days? GRETA: The fact that any band can record, release, and promote their music for an extremely small cost is really liberating and empowering. I'm grateful for the amount of music available at my fingertips and am constantly inspired by music I find online that I might not have access to otherwise. The curse is that it's easy to get lost in the shuffle. I think Gold Motel is finding our own little niche though. ERIC: I think it’s easier to release music now more than ever, but it’s harder to get noticed now more than ever. Because musicians have so many outlets available to them, they have to deal with a lot more competition. Everything is over saturated, which is a shame, but it’s also more reason to work harder to rise above the hundreds of thousands of bands with Facebook pages and Twitter profiles just like yours. I actually wrote an article about this subject for Hypebot a few months back. Q - How do you see the band fitting into the Chicago music scene? Do you guys try to stay tuned into what other Chicago bands are doing and do you have any favorite Chicago bands? GRETA: My favorite Chicago bands are Any Kind, Fortune Tellers, Deserters, Wilco, Andrew Bird, and JC Brooks and the Uptown Sound. ERIC: We’ve always kind of have been a Los Angeles band by way of Chicago. We all currently live in Chicago, our albums are all recorded in Chicago, but the music has a decidedly West Coast outlook that separates us from a lot of other Chicago bands, and we’ve also spent a lot of time in Southern California – specifically Los Angeles. We also started touring right away, so we never got comfortable within the local scene in Chicago. I keep up with a few of my favorite Chicago bands. I really dig Secret Colours, Deserters, Hollows, Summer Girlfriends, and Magic Milk. All bands worth checking out! Dan also plays in another band called Any Kind that is incredible as well. Q - Do you think there's a chance of The Hush Sound reuniting, or do you think the band ran its course? GRETA: Well, The Hush Sound called our status "an indefinite hiatus" because it is purely that. None of us want to close the door forever, but we aren't walking back into the studio this second. The Hush Sound plays shows a few times a year during our hiatus, and we always have a blast doing it, but there aren't concrete plans beyond that right now. Only the future will tell. Q - What's the next goal for the band? GRETA: To tour in promotion of the album and reach as many people as we can! ERIC: To stay a band, and to keep moving forward. 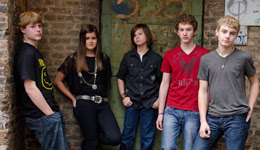 Those who read my interview with Winnetka teen band High Street know how talented the band is. The band has now released its first ever music video, the ironically titled "Wasted On The Young," a song off High Street's second EP, "Nocturnal." The EP was released earlier this year. Check out the video below and be amazed at the energy that this band can deliver. The Chicago music scene became much stronger after North Carolina native Xoe Wise decided to leave the Outer Banks for the Windy City. In celebration of her new CD, "Archive of Illusions," Wise, www.xoewise.com, will bring her wistful vocals on July 20 to Schubas Tavern, 3159 N. Southport Ave., Chicago, as part of a full band record release show. Duck and Goose and Little Light Music also are on the bill. The show starts at 9 p.m., and tickets are $10, available at www.schubas.com. Q - Great to talk to you. Your sophomore album, "Archive of Illusions," debuted at #41 on the iTunes singer/songwriter chart and then was put in iTunes "new and noteworthy" section. Did that surprise you? Did you think the album would be as accepted as well as it has been? Thanks for your time as well! It’s been a trend that the more I grow, the less I expect. It’s beautiful and ironic how the more familiar we are with life, the more surprised we can be. This is especially true when we take the time to stay aware and lose expectations. I have such kind and supportive people so releasing this record felt fine. I don’t have a large enough following that I’m risking disappointing people by changing things, and that’s a fun place to be in! Q - In sitting down to make the new album, what goals did you have? Did you feel pressure in following up your first album? Well, it was right before our Lincoln Hall show last year when I had my first full band rehearsal; it was a disaster. Then I went home and made some folders and food for everyone. Things slowly got better and the seven of us created the first ever full Xoe Wise band! This sound was so fun to make and I wanted everyone who played on stage to be a part of the record. Dee Wilson and I are inseparable souls now. You can hear him singing and playing keys all over the record. Q - Explain the album's title and how the songs fit into the album's theme. “Archive of Illusions” was a hard title for me to decide on at first. I went through a musical waterfall of songs last spring in my writing. These songs ended up having very little to do with what was going on in my life. I had plenty going on, but somehow emotions weren’t finding themselves in my songs. Sometimes I would look back and realize why I wrote something which was a fun puzzle, but it was also confusing why I felt so passionate about putting “Rhode Island” on paper when I had never been there. “Home,” however is super honest and is about family. Everything ended up being some version of an illusion. I pictured a tree that opened with each song sitting as a filed poem. Q - What made you want to move to Chicago? How is the music scene in North Carolina different from the Chicago music scene? How do you see yourself fitting into the scene? Chicago - I love you! I never expected to live in Chicago. Salt water flows through me and I embrace the humidity like a love. I came here for change and got just that. NC’s music scene is great in some places. The mountains host amazing festivals and creative spaces, but I was from the Outer Banks where the fishing tournaments happen. I would make some cash playing outside the boats but things stay very still there. I see myself fitting into the Chicago scene as….interesting. I think we have to experiment and have fun and then gift those pieces of art we found in exploration. So as a musical gift giver, I will be here. Q - On the new album, you cover the song "Fade Into You" by Mazzy Star. I understand your first vinyl record was "So Tonight That I Might See," which of course, features the song. What did you want to do in covering the song and do you think you are influenced by the band? I am blown away by Mazzy Star. It takes me back to a rough time when I was little. There was a lot of loudness in our house and only certain sounds stayed with me in a positive fashion. Not that Mazzy Star is especially upbeat, but the music is weird, rich, emotional, and allows for escape. I think even the five-year-old me was attracted to these things. In covering Mazzy Star, I wanted to close my eyes and sing a beautiful song. Q - It seems like there are many ways for a musician to get exposure these days. Do you think it is easier to be a musician these days? I am very grateful for the avenues of exposure. I love to play music and I really appreciate those who help share. What’s cool is most of these avenues still take work. I believe in working very, very hard and of course with the heart! Muscles of our soul will take things much further. Dig into yourself for words. Don’t Be Lazy. Relax. Have Fun. Be Nice. Q - Speaking of that, you have teamed up with www.1band1brand.com. How did you hook up with them and do you think it is a good way for independent musicians like yourself to get their music out to more people? 1Band1Brand is such a great team! They send out the message about independent musicians and fashion artists that we need fans support by word of mouth more than ever. Labels and distributors are no longer where people will hear our music. The whole team does a great job introducing emerging, independent musicians and fashion labels. I’m happy to work with such great people. Q - What's your next goal? I just moved so I’m very excited to start writing and recording in new ways - just to experiment more. Anime comic book artist Alexis Royce, www.alexisroyce.deviantart.com, got the anime bug when she was a youngster after being introduced to "Sailor Moon" by her cousin. Royce was part of the recent Anime Midwest convention in Lisle. "I already loved comic books," said Royce, who grew up in Aurora. "I'd read 'Batman.' I'd read the comic strips in the newspaper. I loved 'Calvin and Hobbs.' But before opening up 'Sailor Moon,' I'd never seen comics that had slow placing, that didn't always put so much focus on action, even though there is some fighting in there. I was hooked right away." 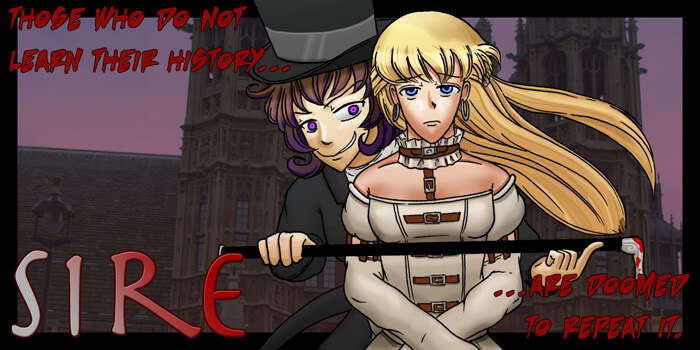 Through her comics, "Evil Plan," www.evilplan.thewebcomic.com and "Sire," www.sire.smackjeeves.com, Royce wants to give others the same enjoyment that comics have given her. "Basically, when it comes to comics, I just write what I'd like to read and I have fun with it," Royce said. She had some advice for budding comic book artists. It doesn't matter how terrible your art is. When I started 'Evil Plan,' it was the crappiest art imaginable. It was so terrible. But just start drawing. You're not going to get good if you don't practice. There's no such thing as natural talent. It's just hard work. Everybody who is good worked hard to get there." She never thought anime would become as popular as it has. "I was totally shocked when I found out there were conventions for it," Royce said. Meanwhile, Brandon Borgman of Naperville was busy at his Involute Studio booth creating art. "We primarily do video artwork and anime artwork, along with original pieces," Borgman said. "There's definitely a big following in anime in general." He has an idea on why anime is so popular. "It's grown-up cartoons, really," Borgman said. "Everybody grows up watching Saturday morning cartoons, and then you get older but you still like the art style. There's things you can do in anime that you can't do in live action. There's a very colorful, other-worldly quality to anime." To say that Greg Ayres is the voice of anime is not an understatement. It would take too long to list all of the projects he's lent his voice to. Those at Sunday's Anime Midwest convention in Lisle got to ask Ayres questions about what it's like being a voice actor and DJ, and how he juggles both. 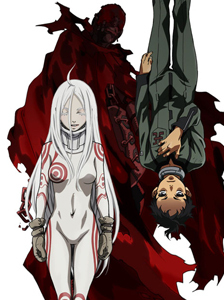 On doing the show "Deadman Wonderland": "We didn't think there was any chance of that ever being on TV. It was the bloodiest thing out right now. Violence is never really frowned on in this country, but bad language is." On being a DJ: "I've been playing music since I was a little kid. I love playing music and dancing. It's a real physical way of letting go of a lot of stress I have. I like being a DJ and playing for large groups of people. I like knowing I helped a lot of people have fun. Just talking about what I do all day feels kind of weird for me. I like being in the middle of the fun. I like playing for anime kids way better than the club kids. The club kids are too busy trying to look cool. At a lot of conventions, I've used the opportunity to promote some people that I find very talented, but because of where they may live, they don't get the exposure I would. I feel lucky to give other people the opportunities I've been given." Anime director Shinichi "Nabeshin" Watanabe provided many laughs, mostly at Ayres' expense. When Ayres didn't show up on time for his joint appearance with Watanabe, he took matters in his owns hands and conducted his own interview with a chalk picture of Ayres that he had drawn. Members of the audience also had the opportunity to "play" Ayres as Watanabe interviewed them. Watanabe thanked those who came to the convention for making him feel welcome. "I really had a good time," he told the crowd. "I absorbed all your energy, and now I can go back to Japan refreshed." Chicago to host "Sparkle Singing Challenge"
Chicago will be among 15 cities that will host the "Sparkle Singing Challenge," sponsored by Sony Pictures and MySpace, on July 14. Local winners will receive $500 in cash and a chance to compete for the national Grand Prize. The Grand Prize winner will win a trip to New York, an appearance on BET's "106 & Park" show, a recording session with the Punch Monkeys producer & writing team, and a Myspace homepage feature. Amateur singers between the ages of 13 and 40 will be asked to sing a 60 second a capella version of one of two songs: "Celebrate" or "Something He Can Feel." Clips from the songs, official rules and more information about the contest can be found at www.myspace/sparkle. Chicago-area residents can register from 11 a.m. to 1 p.m. July 14 at Orland Square Mall, 288 Orland Square in Orland Park. The contest will take place between 2 to 4 p.m.
On its second full-length album, "Cold City," Chicago band The Shams unleash the energy and honesty that has made the group one of the scene's most interesting bands. Tickets and more information is at: www.schubas.com/Page/Shows?Month=July&Year=2012. I had the pleasure of talking to The Shams frontman Donnie Biggins about the new album. Q - Good talking to you again. You guys certainly have a lot going on these days. Any bands you are especially looking forward to playing with as part of your residency at Schuba’s? I am really impressed with Shovels and Rope after hearing their music at NoiseTrade.com. We are honestly thrilled to played with every band on the residency. I saw Shovels & Rope at The Basement in Nashville in 2011. Ever since, I have done whatever I can to get them playing in Chicago. It just so happened that they were available for one of the residency dates. Jeremy David Miller just released a brilliant solo record. His songwriting is a gift. We're excited to join our good friends Derek Nelson & The Musicians and Elephant Gun again. We will be on a five-day tour with Daniel Ellsworth & The Great Lakes. Schubas will finish the tour which begins at The Basement in Nashville on July 19th. Closing out the residency is Archie Powell & The Exports and Young Hines. Two of the best bands in the country right now. We couldn't be more thrilled to play with them! Q - "Cold City" is the band's second full-length album. What did you want to do with this album that wasn't captured on your first album? We wanted to capture the "moment" on this record. Cold City has 12 tracks that were thoughtfully placed together. I think we really captured our live show in these recordings, and that is what was most important to me. We did our best to create the best vocal harmonies possible and really bring our live show to life..
Q - How long did it take to make the album? Any meaning behind the name of the album? We went up to a cottage home provided to us by Ben White's (Banjo) parents in Lame Dune, Hobart, MI. We spent four days there tracking live recordings together. Wes Lambert was our engineer for the weekend. Wes was an amazing engineer to work with and is a great friend to the band. "Cold City" does not have a true definition. The name can be portrayed differently by everyone. Sometimes it may be literal, but mostly it is figurative. If you're in the working class in the city of Chicago, there are many ways you can define "cold." If you listen to the lyrics in our songs, you can find your own meaning behind the name. Q - The last time I interviewed you, you guys were juggling making music with having to go to day jobs. Is that still the case and is that holding the band back at all? Everyone is still working when they can, but we are also playing out as much as possible. We are making it work, and when the time comes to leave for four to six weeks on a tour, we will be ready to. Just waiting for the right moment to act. Q - What do you like best, performing on stage or being in the studio? Nothing is better than a live performance. What would be great to do would be to get in the studio for a month straight. It took us four days to finish a 12-song record. I think if we dedicated more time to the studio, we'd be releasing records at a faster and consistent pace. Q - Describe the song process. Is it a collaborative effort in the band? The songwriting is mostly individual between Paul and I. The creation of the music is all collaborative. We bring an acoustic song to the band and start playing it. Everyone adds their part from there. Uniquely created by the individual, but ending up with a collaborative sound. Four-part harmonies are the last addition and something we have really developed and concentrated on the past two years. Q - The band's music has been described in various ways. How would you describe the band's music? Music that you sing along to. It's rock 'n roll with a banjo. Q - How do you see the band fitting into the Chicago music scene? What makes the Chicago music scene unique? I think our sound is unique in the Chicago music scene. We can fit with many different genres, and mostly concentrate on making the live show an upbeat party. We can play with any Americana/Country/Blues/Pop Rock bands. We have worked hard to support the Chicago music scene. We think it is imperative for artists to support one another. There are different niches in the Chicago music scene that do this for one another, and it is important that you cross into different genres and support everyone. We have been out supporting the scene since we first entered it. We will continue to do so for the rest of our lives.